There were some fairly large privacy concerns that arose early in the life of Skype. Microsoft has tried to allay those fears in recent times, but the integration of end-to-end encryption using the open-source Signal Protocol is the strongest privacy move they've made to date. 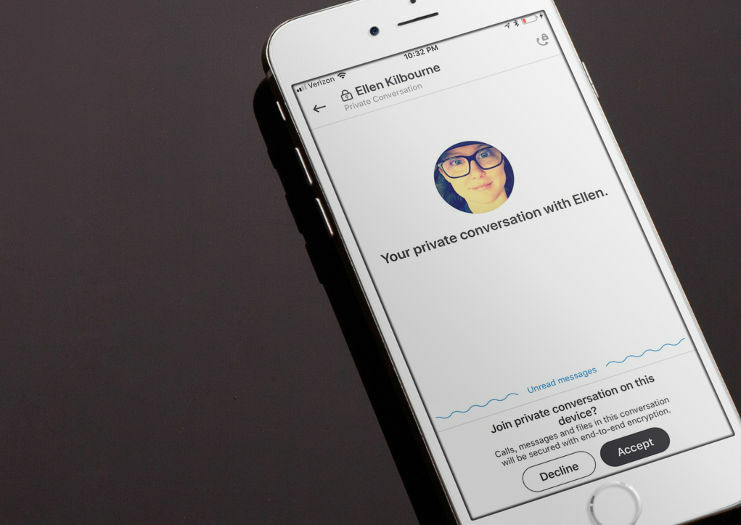 Skype is getting more secure thanks to a new private conversation feature that Microsoft is adding in collaboration with Signal. This is achieved by using the open-source Signal Protocol which enables secure end-to-end encryption, where only the participants have the keys required to read sent and received messages. The Signal Protocol is already used by applications such as Signal, WhatsApp, and Facebook Messenger. Signal and WhatsApp automatically use the Signal Protocol to encrypt all conversations by default, but the way that Microsoft has implemented the protocol in Skype is more similar to the setup used by Facebook Messenger. If a user wishes to create an encrypted chat, they must send an invite to the other participant to accept, which then creates a secure channel just for that one conversation. All standard messages are still encrypted during transport, but the central server holds the keys necessary to decrypt and read these. Private conversations are currently only available in preview for Skype Insiders but should be available in a stable release version of Skype within the next month or two. To invite another user to start a private conversation, click the ‘+’ icon, select ‘New Private Conversation,’ and a new chat window will open with an invitation automatically being sent to the other person for them to accept. A private conversation is device specific, so a new request must be sent if you move to another device (e.g., from Desktop to mobile). Notifications won’t preview the message content for privacy reasons, messages can’t be edited after sending, and files can’t be forwarded — although files from the device can still be shared via the chat.